Spend a day strolling the tree lined streets of historic Eatonton before setting off on an outdoor adventure. Stop in for Eatonton information and guides for the Historic Eatonton Walking Tour, part of the Antebellum Trail. Oak Street/ Hwy 441, Adults (13+) $5.00. 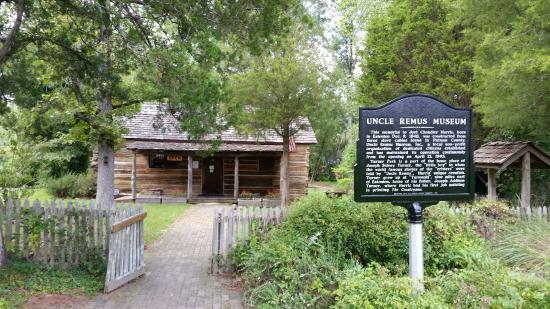 This museum is dedicated to the works of Joel Chandler Harris, author of the Uncle Remus stories and features a statue of Brer Rabbit. Eatonton is full of rich history and architecture. Stroll down the streets and view over 100 Antebellum and Victorian era residential and commercial buildings in the historical district. Take some time out to shop in one of our downtown stores. Frisk Pub is located right downtown, offering traditional bar food and great drinks, as well as a fun atmosphere. Cuco’s Mexican Restaurant is located just a few doors down and serves delicious dishes with south of the border flavor. 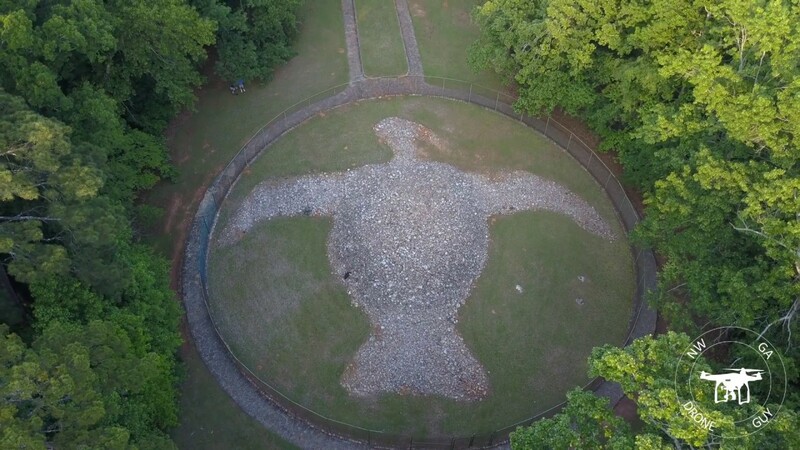 Located on 441 North, Rock Eagle is a stone effigy shaped like a bird located outside of Eatonton, Georgia. It is one of two stone effigies located east of the Mississippi River and both are located in Putnam County. The camp also has hiking and canoeing and is located in the Oconee National Forest. Spend the day shopping at our original, unique, chic shops at Lake Oconee. Visit the shops at Harmony Crossing or stop into one of the many stores located along the banks of the lake. Lawrence Shoals is a lakeside park with picnicking, fishing and a playground. The second rock effigy, Rock Hawk, is located beside Lawrence Shoals Park on the Historic Piedmont Scenic Byway on Hwy 16.Parking fee is $3. If you are interested in fine dining, try Silver Moon on Lake Oconee. For seafood, try Bone Island Grill overlooking Lake Oconee. 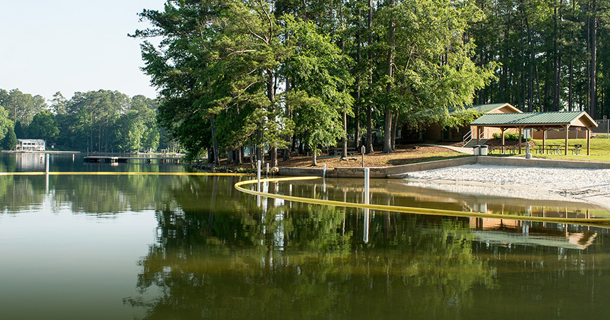 Rest with a view of the lake, by staying at The Lodge on Lake Oconee. A lodge style condominium hotel a moments drive from championship golf courses, outstanding boating and fishing, lake shopping and downtown Eatonton. *For larger groups, please make sure you call ahead for reservations.